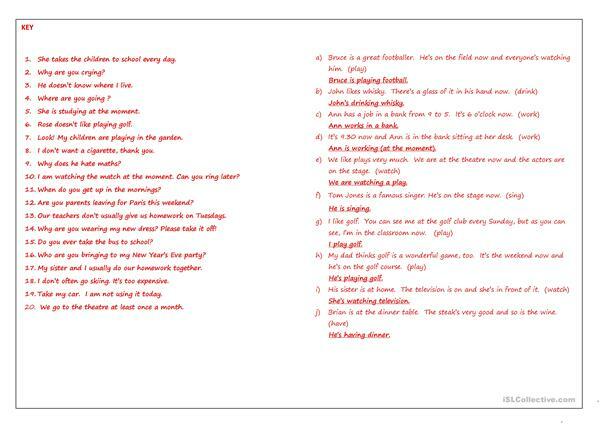 Two exercises to practise the difference between the two present tenses. This printable, downloadable handout is recommended for high school students, elementary school students and adults at Elementary (A1), Pre-intermediate (A2) and Intermediate (B1) level. It is aimed at consolidating in English, and can be used for developing your groups' Reading and Writing skills. The exercises come with the solutions.